19 inch 2U rack mount Audio/Lighting/Network cable tester with SINGLE & DOUBLE ended testing, memory and intermittent fault detection. There are 6 LED's indicating the state of the MEMORY option. 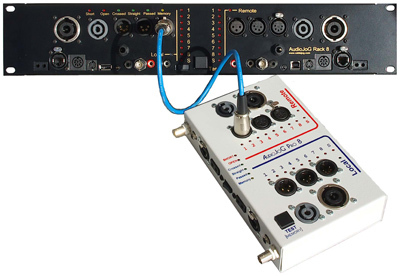 If the MEMORY LED is on, then AudioJoG Rack 8 automatically scans all the connections and compares against information held with just one press of the test button. L 75mm W 483mm (19”) D 88mm (2U).